"Sometimes you run across a CD that has music you can listen to over and over again. Texas artist Bill Wren has produced just that type of CD. songs that "make things ok" and have a calming effect that will take you to that "place". I strongly suggest adding this one to the collection." Every bird watcher is familiar with the wren- a songbird that's disseminated extensively over the Northern Hemisphere. The wren is known for the splendid timbre it emits, ascending and plunging in a tuneful array. However, there exists a special type of melodic 'wren' that has migrated from Texas to Michigan- and back again! His name is Bill Wren and he composes exquisite melodies that flow in unbounded fashion from his heart to an ever-growing number of fans. 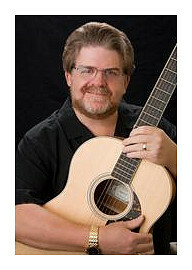 Bill is an award-winning songwriter and musician who enjoys watching others take pleasure in his compositions. This is the story of the flight of one rare Texas songbird- Bill Wren. 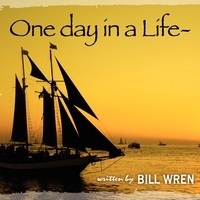 Podcast featuring songs off "One Day In A Life"
Would like everyone to meet Frank Ralls. Frank is the man behind the music. He has been my Music Producer, Arranger and good friend for going on 4 years. We have officially teamed up together and started Ponder Dust Publishing. Frank and I have also collaborated on the new album "Journey Around The Sun" A Mayan Odyssey. I also asked Frank if he would take on an administrative roll on this FB page. So everyone give him a warm welcome he's the real genius behind www.billwrenmusic.com.